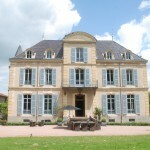 Holiday home Chateau Les Bardons in France with heated swimming pool. During the summer the pool is nicely heated. Chateau Les Bardons is close to Lyon. Near to the Southern Burgundy and the Auvergne and is located in the Department Loire. Authenticity, history, warmth, romance, good wine, delicious dinners, good conversations around the fireplace. All what you can expect in a Chateau. You want to enjoy a wonderful holiday, together with your friends or your family in a real Chateau? For a week or more or maybe for a longer stay? Are you looking for a special holiday letting for you and your colleagues, for a business meeting, a wedding or for a special celebration? 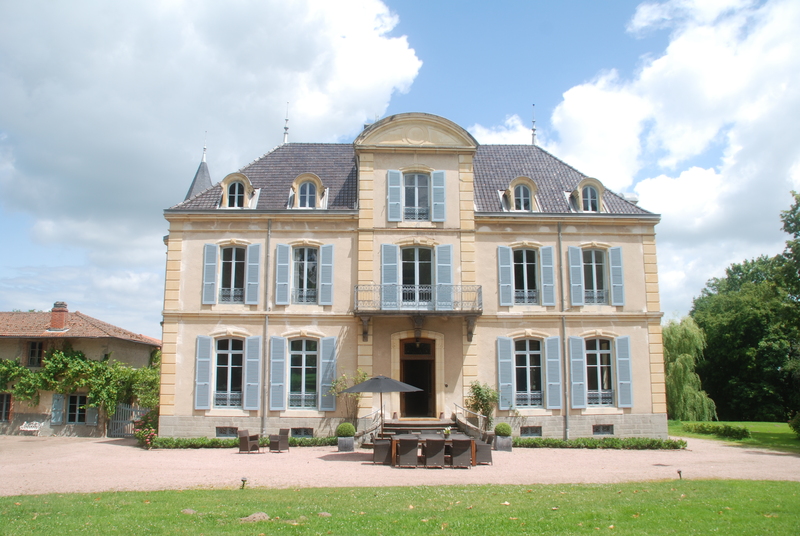 All year round, our lovely Chateau Les Bardons is available for a pleasant and comfortable stay. 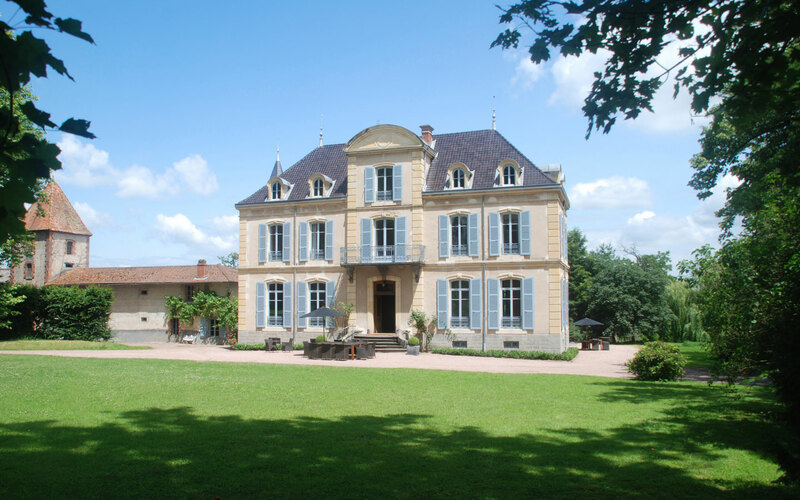 Chateau Les Bardons is the charming main house of the Domaine Les Bardons. 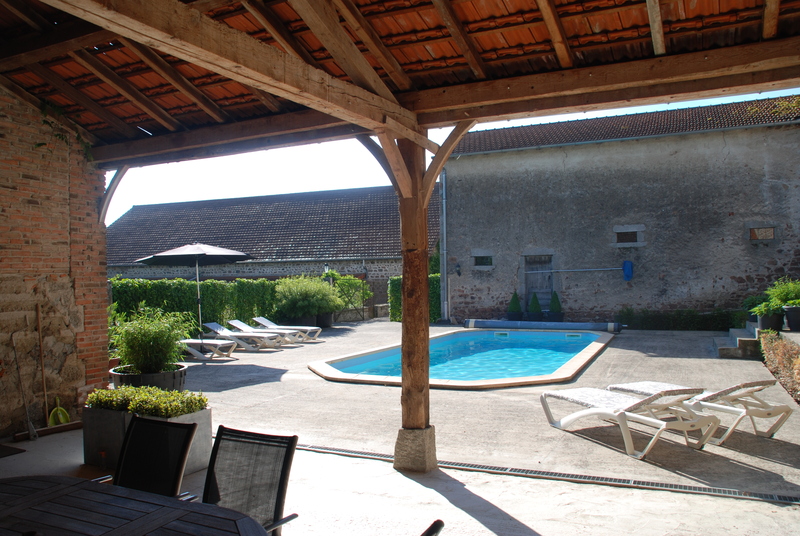 It is a very well-equipped and comfortable holiday home and sleeps up to 12 (the combination of both parts and Maison Les Bardons sleeps up to 20). Both holiday lettings can be connected to one big holiday accommodation, but also rented as separate holiday accommodations privacy is guaranteed. All rooms have a double bed. From spring to autumn (April – Sept) you can swim in the pool. Our swimming pool is during the season nicely heated. Close to Auvergne and Saône et Loire (southern Burgundy), the village of La Pacaudière lies in the Loire region of the northern Rhone-Alpes. Domaine Chateau Les Bardons is beautifully situated, just outside of the village of La Pacaudière. In a green, classic French countryside with woods, rivers, including – of course, the Loire river, and fields, separated by characteristic hedges and traversed by winding country lanes, along which you will find small, sometimes medieval, picturesque villages, with their kind inhabitants. À la campagne (in the country), but with city life close by (Lyon, Roanne, Vichy, St Etienne, Clermont Ferrand). An undiscovered part of central France, bordering on France’s culinary, gastronomic heart. 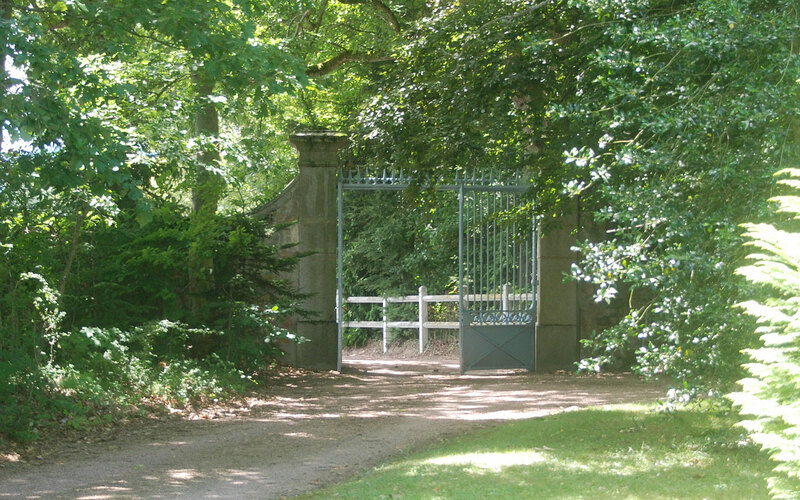 Chateau Les Bardons is a country dwelling in an area renowned for clean air, ideal for walking, cycling and golf too, and perfect for those with a culinary passion. Excellent facilities for snowboarding and Nordic/Alpine skiing within a stone’s throw make the chateau equally appealing in the wintertime. On social media you can find us @ Facebook; Google+; Linkedin en Twitter. Sending a mail is off course possible as well.